Welcome and thank you to everyone who has contributed to our Issue 25. 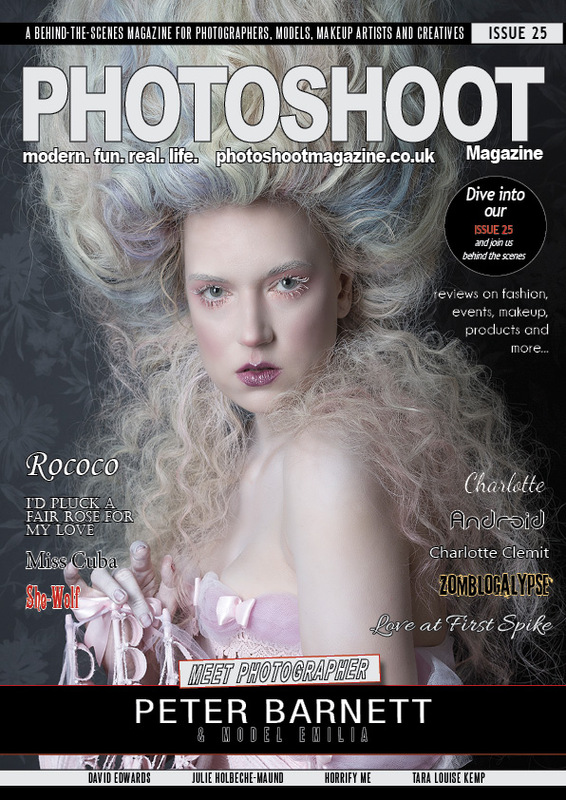 Our front cover image features the work of photographer, Peter Barnett, with his beautiful picture called Rococo. PHOTOSHOOT is fulfilling its vision to bring together creative individuals and contributors to produce a publication that interacts with readers, shares knowledge, showcases ability and is modern, real life and fun. In this issue, we feature in our Your Shoot section, photographer, Belinda Buxton with Android, the Zomblogalypse Team, photographers David Edwards and The Cuban Ballerina, Miss Cuba and Roxia Rakora with Love at First Spike. We have Peter Barnett, our front cover photographer, and Rococo, prosthetic and special effects artist, Charlotte Clemit. We also feature photographers Mike Hardley with Charlotte and show the work of Portrait X with I’d Pluck a Fair Rose for My Love and last but certainly not least, Rick Jones and team from Horrify Me with She-Wolf. We Focus On makeup artist, Tara Louise Kemp and photographer Julie Holbeche-Maund. Our Review this issue is from David Edwards, who tested out The Rotolight ANOVA Pro 2. Join us at The Photography Show 2019, for live behind-the-scenes action at our stand on 16th,17th. 18th, and 19th March. 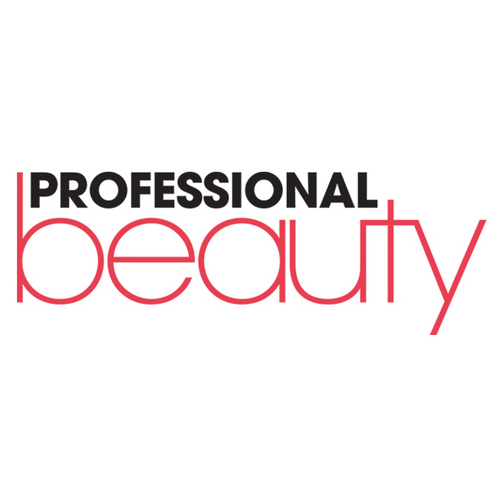 Photoshoot Magazine is, once again, a media partner with TPS. So, come along and meet us. … and finally, … we’ve packed the magazine with everything we love about design, photography, style, fashion and beauty. But we want the next issue to be even better, so please get in touch with your feedback, images and ideas. We hope you enjoy our Issue 25.